How Does Steel Fabrication Work? Home » Ideas » How Does Steel Fabrication Work? Fabrication, in general, is a process by which raw materials are converted into parts that are later used in a larger assembly process — meaning, a fabricated material is yet to be a final product, i.e. intermediate product. Fabrication is used in the metals and plastics industry, which are widely known to produce most of the consumer and engineering products in the global economy. With steel, a host of processes is necessary, such as the design, detailing, drawing, and construction of a particular structural steel. Their end products could be a chair, a boat deck, a home’s steel beam, or a plane’s wing. Most, if not all, plastic and metal products undergo fabrication for every part. Before metal or steel is fabricated, a pre-fabrication process of manufacturing steel has to be done. There are two common methods in steel fabrication: the integrated method and the electric arc furnace (EAF) method. The integrated method is also called as the raw material approach. Here, materials are heated, melted, and then mixed to steel. Three-fifths of all steel fabrication uses this method. The EAF method, meanwhile, is the quicker route of creating steel. Recycled steel is placed in a furnace to melt, and mixing with other materials is done next to produce steel. The fabrication process is a long process of refining steel to suit up to its purpose. First, the metal structures (called sections) will undergo a cleaning process, which may include manual cleaning, blast cleaning, or flame cleaning. Next, the sections are cut to its length. Common cutting techniques are shearing, flame cutting, cold sawing, punching, and arc plasma cutting. During the cutting process, steel may get distorted, so the next step is to bend, roll, and straighten them. Next up is fitting and reaming. It is in this step where small defects are completely ironed out. Fastening methods are performed after defects are corrected. To fasten, fabricators may rivet, bolt, or weld the steel. The latter is the most common fastening method. After fastening, the finishing comes. Finishing is mainly done through sawing or milling. The last step of the fabrication process is surface treatment. It is in this step where metal or paint coatings are applied to further enhance the steel and to protect its surface. Steel is a highly versatile material used in many structural and production processes. To fabricate it, a fabricator or manufacturer only needs to choose a reliable method. 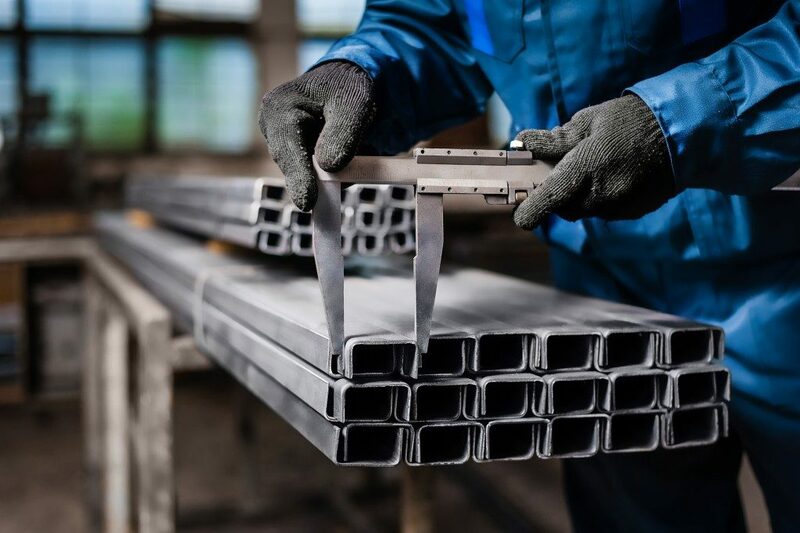 Afterward, they follow a long multi-technique-laden process to produce the end product — a well-formed steel you see everywhere.